We offered 8 different books from which to choose spanning a wide variety of genres including biography (2), humor, prose with poetry, science fiction (2), fantasy & literature. 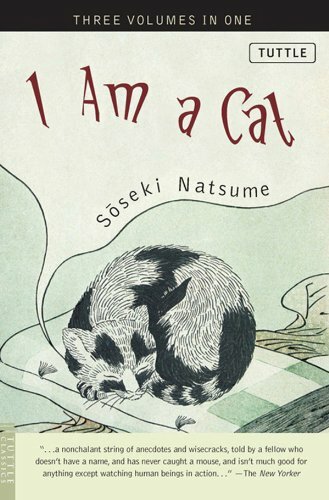 Written over the course of 1904-1906, Soseki Natsume's comic masterpiece, I Am a Cat, satirizes the foolishness of upper-middle-class Japanese society during the Meiji era. With acerbic wit and sardonic perspective, it follows the whimsical adventures of a world-weary stray kitten who comments on the follies and foibles of the people around him. A classic of Japanese literature, I Am a Cat is one of Soseki's best-known novels. Considered by many as the greatest writer in modern Japanese history, Soseki's I Am a Cat is a classic novel sure to be enjoyed for years to come." Older PostVOTE: Which Japanese Book Should We Read in April?